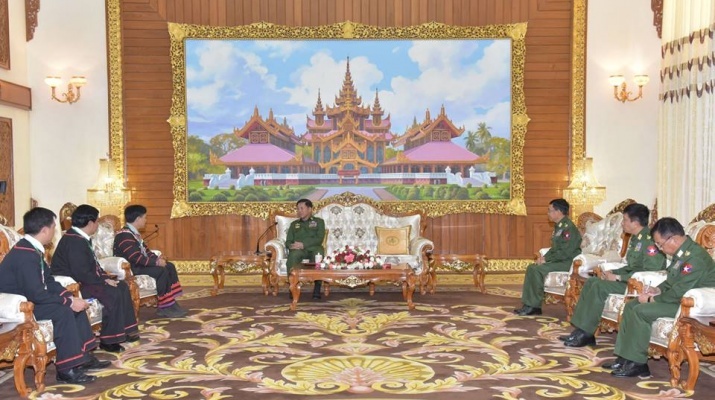 Commander-in-Chief of Defence Services Senior General Min Aung Hlaing received the delegation led by chairman Kya Khunsa of Lahu Democratic Union (LDU) which will participate in the peace process, at Bayintnaung Parlour here this evening. 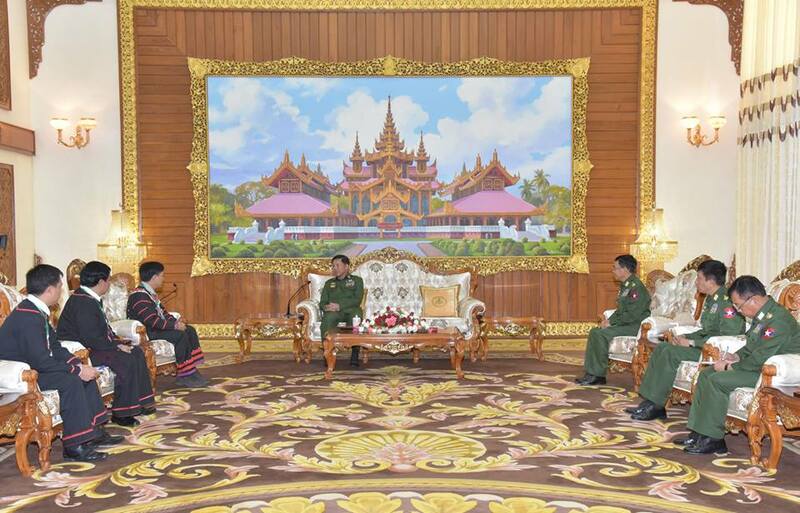 Also present at the meeting together with the Senior General were Lt-Gen Than Tun Oo, Lt-Gen Aung Kyaw Zaw, and Lt-Gen Soe Htut of the Office of the Commander-in-Chief (Army), and senior military officers, and the LDU chairman was accompanied by his deputy Saw Hla Mon and members. 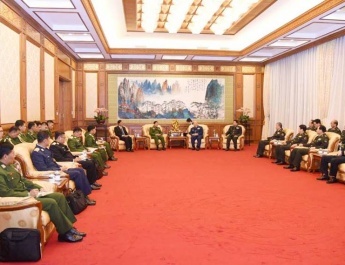 The Senior General said that he warmly welcomed the LDU’s participation in the peace process, and explained the ongoing democratization process chosen by the people, and Tatmadaw’s efforts for internal peace, and plans for regional development, education, health and drug elimination for Lahu ethnic people, and Tatmadaw’s assistance. The chairman of LDU expressed thanks for the opportunity to hold talks with the Commander-in-Chief of Defence Services. 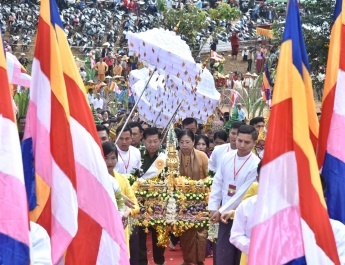 He added that he would not forget that the Senior General had provided help for Lahu ethnic people while he was serving as the commander of Triangle Region Command. LDU has trust and reliance on Tatmadaw, he said. After the meeting, the Senior General gave away foodstuffs to the chairman and members of LDU, and they posed for documentary photos. With New Mon State Party (NMSP) and LDU agreeing to take the path of Nationwide Ceasefire Agreement (NCA), there will only be two members—Karenni National Progressive Party (KNPP) and Arakan National Council (ANC) left in previously four-member United Nationalities Federal Council (UNFC). 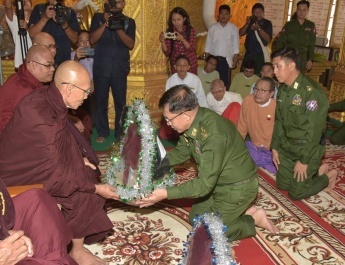 Tatmadaw will cling to the NCA path and work toward permanent peace.